Let your friends wake you up and make each morning a fun time. Our app will be available on any mobile device! Check out what you'll get with this awesome app! Easy to use app and beautiful UX. 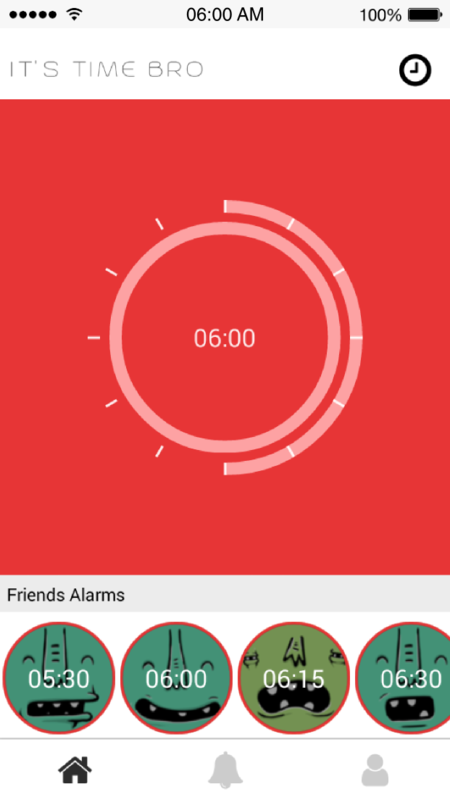 Set your alarm and let your friend wake you up. Connect with people you love and wake them up. Keep in touch! Download alpha! © 2017 It's time bro. All Rights Reserved.